Cheap, Cheap, Cheap! In the “good ol’ days” scammers would at least try harder. They would go out and rent an expensive car, an apartment, they would hire actors and make a video. Nowadays, they just make a PowerPoint with voiceover and expect us to believe whatever nonsense they are spouting. That’s the case with this BO Millionaire software… a cheap scam, which will allegedly make you more than 300,000 Dollars each month. 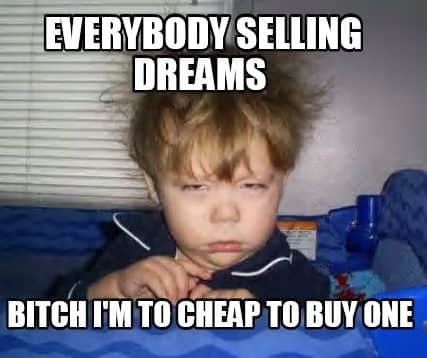 Everybody’s selling dreams! What Is BO Millionaire? Let The Fairy Tale Begin. His name is Clark, he is a millionaire and he is here to help me by revealing his well-kept secrets (wow, never heard that one before). Then he tells me that probably I’ve been lied to and cheated before, tricked into using systems that lose money, but lucky me, this will be the “most memorable day” in my life, because I’ve stumbled upon his “note” as he calls it. Oh, goodie, I can’t wait to see what he has in store for me. But unfortunately his story is not even amusing: he was in financial trouble, tried several systems that promised the world but didn’t deliver and then he stumbled across an amazing system that made him a million bucks. That’s it! Now he wants to share it with me and you because that’s his mission or whatever stupid reason. Nothing about how the system works, nothing about nothing. You just have to take his word and deposit with his recommended broker. Then, allegedly the software will take over and place winning trades for you. Yup, it’s the usual Push-A-Button-And-Become-Rich scam. Look at all the people who profited. You can be one of them as well… assuming you believe any of the cr4p he’s selling. Why Does Clark Want To make You Rich? To be honest, this is one of the least entertaining scams I’ve seen lately. I usually consider these robot scams quite enjoyable because it’s funny to hear their stories, how they went from rags to riches, how they used satellites to predict market behaviour, how they copied Buffett’s mind into an auto trading software. But this one is like something that might have worked in the year 2000. Come on, he was poor, he stumbled upon a magic software that he will share with you just to make the world a better place. Literally that’s all he says in his three videos. 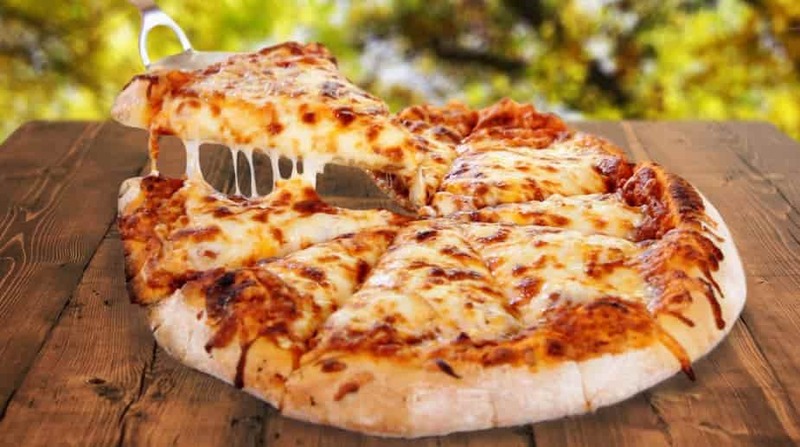 Even that pizza above is more entertaining… and I’ve stared at it so much that I’m hungry now. Anyway, I’ve soldiered through all his BS and at the end of it, I gave him my trusty fake details. An account with Binary Online was automatically created and I was asked to deposit. No, thank you! At first glance, Binary Online is a brokerage located in Bulgaria, not regulated by a major regulatory body but I didn’t spend much time on their website. And even if their recommended brokerage would be regulated by ALL the regulatory authorities in the world, I still wouldn’t let this Binary Options Millionaire app manage my trades. Look, there’s absolutely no doubt in my mind that you will lose money with this Binary Options Millionaire robot, autotrader or whatever you wanna call it. They don’t offer any information about performance, Mr Clark says that you will see “live” proof of his account but there’s no trace of that, and they sign you up with an unregulated brokerage that doesn’t inspire a lot of confidence. On the other hand, they say that you will make unlimited amounts of money, all your dreams will come true and you will live happily ever after. Come on, I don’t even know what else to say about it. It’s a scam and you should stay away from it. Don’t believe for a second that BO Millionaire is the shortcut to being a millionaire or to making any money… or believe it, you’re a grownup.